Wrecking your auto accident case is easier than you think. Don't get all of the information. Don't go to the doctor . Don't follow up on treatment. 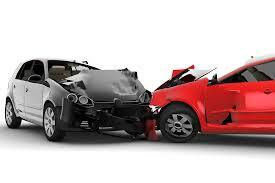 If you are in an auto mobile accident and do not get all the other driver's information. The information you should be taking down include; the name, address, owner of the vehicle, and insurance information. On the site of the accident, you should also take photos, and get the police officer's information and any names and contact information of witnesses. If you are injured when the accident occurred and do not seek medical care or see a doctor it can hurt your case. Sometimes when the accident happens, injuries are not always apparent to first. And while there is no time limit to see the doctor, but to recover for injuries caused by the negligent drier, the medical care and treatment must be related to the accident. The best advice is that if you're hurt get checked out by a doctor even if it is just to make sure the injuries are not more severe than originally thought. Let's say you were taken to the hospital by the paramedics immediately following your accident and the ER doctor recommends you follow up with your primary physician to make sure you're okay. Make sure you do. Even if you aren't feeling any symptoms, you should still follow uo on any recommendations that the doctors give you , because some symptoms might not appear until after your injury, or might appear and go away but then return days later. It is better to use your health insurance rather than agree with the doctor or hospital to pay the medical bills out of any settlement. Typically, your health insurance company will pay less than the actual charges on the medical bill. If you agree to pay your medical bills out of any settlement, the health care providers will be entitled to the full amount from the settlement and if the case doesn't settle, is los or not pursued, you are still responsible for the medical bills. Do not fall for one of these sins and ruin your accident case-- ensure that you and your family will be taken care of. Do not go it alone find and attorney that you can talk to your case about. The attorney should be able to answer your questions and help you figure out if your need an attorney for your case, and how to proceed. For more sins to avoid and more information, head over to our resources page and download our free report. If you have any additional questions, give us a free and confidential call at (202) 393-3200. Testing for quality. Please disregard. Thank you!